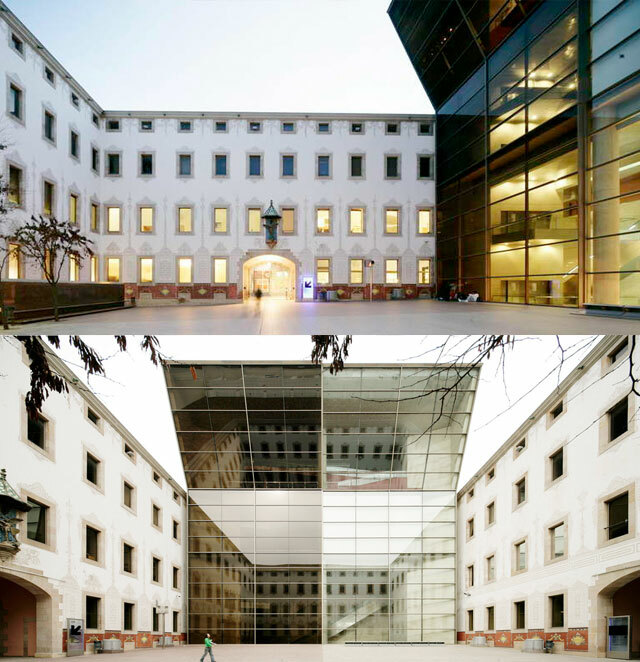 The CCCB is a public consortium created by the Diputació de Barcelona (Provincial Council) and the Ajuntament de Barcelona (Barcelona City Council). The Centre de Cultura Contemporània de Barcelona (CCCB) organizes and produces exhibitions, debates, festivals and concerts, programmes film cycles, courses and lectures, and encourages creation using new technologies and languages. It promotes artistic research in fields such as multimedia, backs research into exhibition formats, exports its in-house productions to other national and international arts centres, museums and institutions, and generates debate, thought and reflection on the theme of the city and the public domain, as well as other issues of current affairs. The CCCB also compiles materials that are available for public consultation, comprising its inheritance, its holdings and archives of exhibition formats, publications, digital archives, audiovisuals, and so on. It is a space open to groups of independent artists, creators and programmers, and to various bodies with which we have forged bonds over the years. Thanks to all of them, we can guarantee a quality multidisciplinary programme that furthers contemporary culture. The Casa de la Caritat carried out charitable functions and, throughout the 19th century, was also the site of a whole range of manufacturing activities carried out by the inmates. These workshops served largely to clothe and feed the hospice population, but they were also training centres where boys were set to work at the age of 14, giving them a profession for when they left the institution. One of the largest and most profitable workshops was the print shop-school. In 1956, this centuries-old institution was transferred to the Llars Mundet residences and the building stood unoccupied, with no specific use. 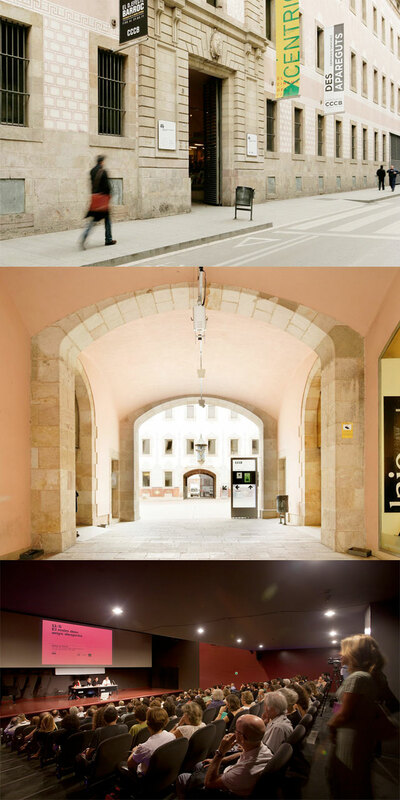 In 1989, the Consortium formed by the Diputació de Barcelona and the Ajuntament de Barcelona approved the creation of the Centre de Cultura Contemporània de Barcelona (CCCB) as part of a project to rehabilitate the Raval district and its historic buildings, in the abandoned Casa de la Caritat building. The project for the construction of a modern arts centre was carried out by the architects Helio Piñón and Albert Viaplana. On 25 February 1994, the CCCB opened with a total surface area of 15,000 m2, 4,000 of which are given over to gallery space. The present-day installations also include lecture halls, an auditorium and multipurpose spaces such as the foyer, the Pati de les Dones courtyard and the Mirador hall. Great ! Thanks for organising ! There is a great group of people behind, thanks to all of them! looks wonderful! very cool venue...thanks to the WHOLE team!! Beautiful Symposium site...looking forward to seeing it in person! Thanks to the team for all their hard work! Thank you, Liz and Debo! We hope you'll enjoy also the city. CU soon! Este edificio es muy bonito!